Unfortunately my blog was neglected during the holidays. I had the best of intentions to post new recipes for Christmas, but during the holiday craziness it seemed hard enough to find the time to cook, let alone blog! I have been experimenting with coconut flour in all my baking lately. 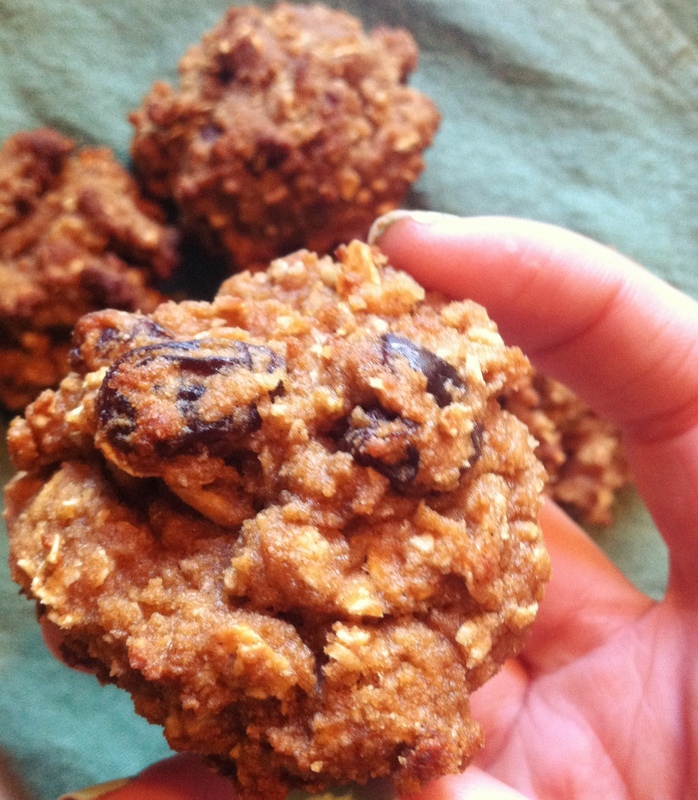 Once I took a bite out of these cookies I knew that this was a recipe I had to share.The oatmeal cookies are completely flourless, gluten free, and an all over very healthy option. Preheat the oven to 350. In a large bowl mix all ingredients, and fold in the raisins at the end. 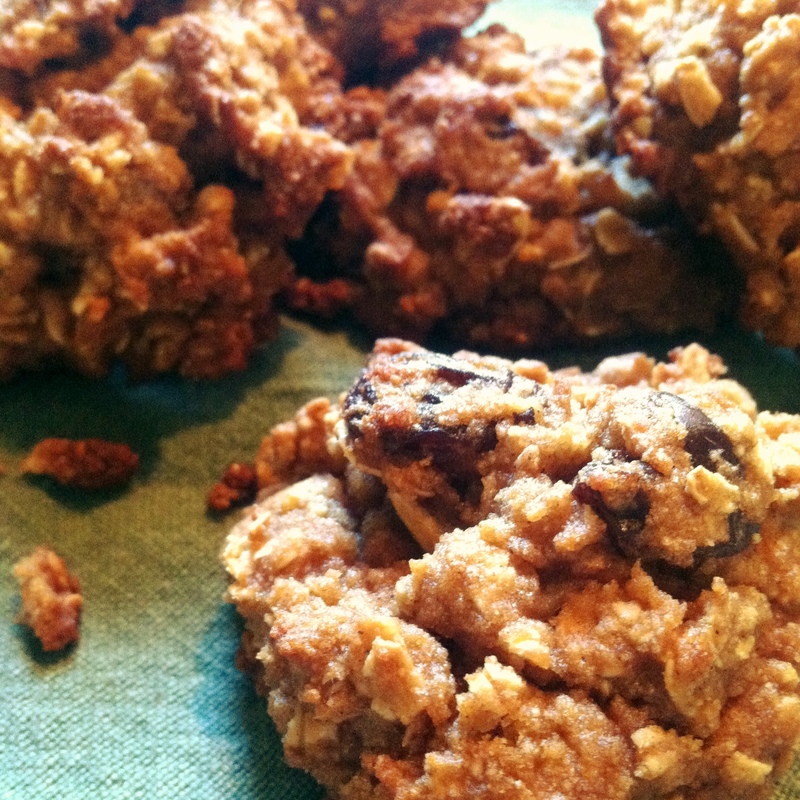 If your dough’s thickness is not to your liking, you can always sprinkle in more oats. Grease baking sheet, and scoop dough into small balls. Bake in oven for 15-20 minutes or until done ( this all depends on how big or thick you make your cookies) Let cool on a rack, then enjoy!